Florida State University Libraries welcomes its first cohort of the university’s new Diversity Resident Librarian Program, which aims to increase the number of qualified academic librarians from members of traditionally underrepresented groups. In alignment with Florida State’s strategic plan, the goals of the program are attaining more diversity of thought in program development and libraries practices and increasing agility in serving diverse student and faculty populations. 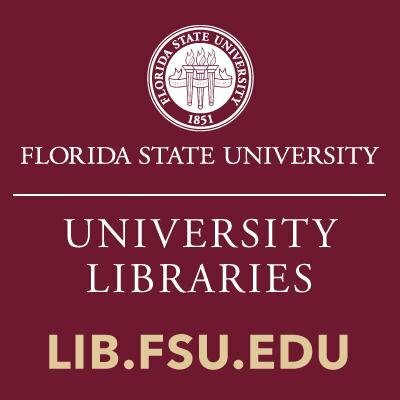 “We were looking for early career librarians who could offer us unique perspectives while we provide them with opportunities and assignments that will help them hone their skills in academic librarianship,” said Susannah Miller, interim dean of FSU Libraries and associate dean of administration. During their three-year appointments, the four resident librarians will have the opportunity to develop competencies and skills in the areas of higher education librarianship. The program will concentrate on providing services to students and faculty, libraries operations including acquisition and collection management, special collections, and areas of strategic focus such as technology and digital scholarship. The cohort also will engage in libraries practices, including faculty assembly activities, professional development, work teams and management meetings. Each resident will be placed in a functional area where they will further hone their skills. Experienced librarians will provide mentorship and guidance to the residents specific to their needs and skill levels, and the residents will work with members of senior management on career-focused individual development plans. 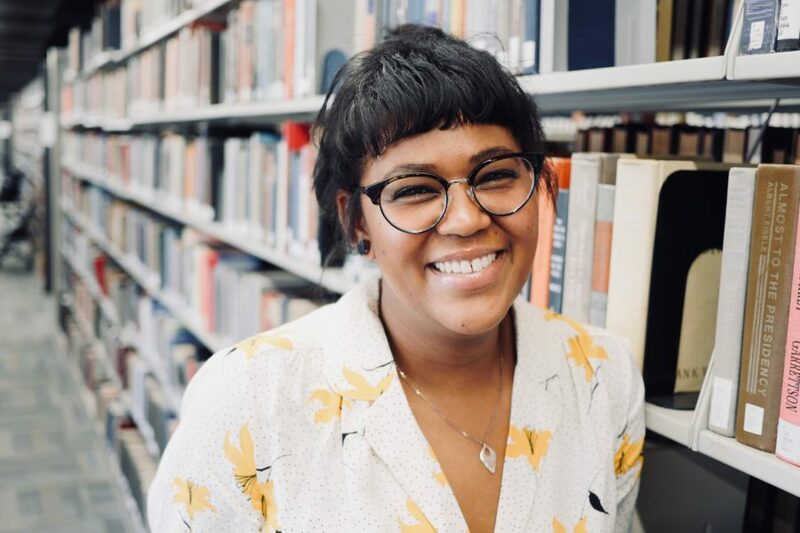 Arias completed her Master of Library and Information Science degree at the University of Washington, and she will complete a Master of Arts in History with an Archival Administration Certificate from the University of Texas at Arlington this summer. 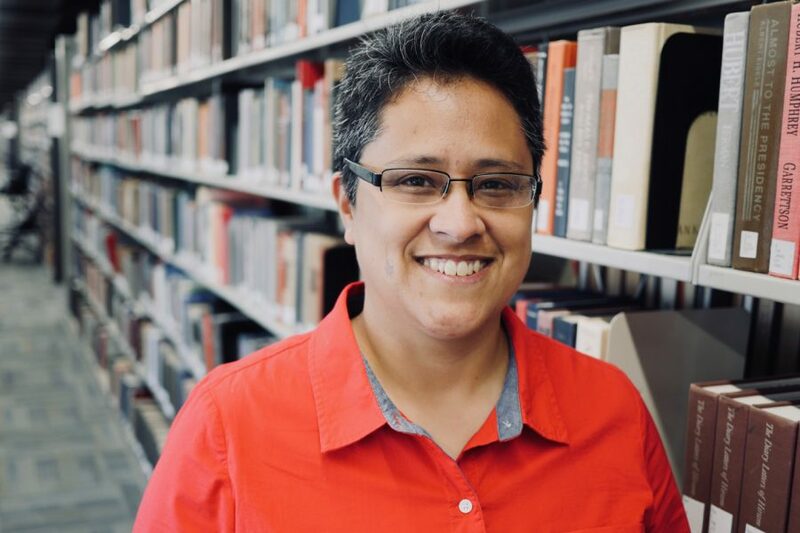 Arias’ professional and research interests include information literacy, especially in underserved populations, and diversity and inclusion in collection development in archives and academic libraries. Mohkamkar is a graduate of the University of North Texas with a Master of Science inLibrary Science and Master of Arts in Linguistics. Before coming to FSU, he worked at the Dallas Public Libraries. His research interests include library usage by international and other minority student groups and working to promote accessibility of academic library materials. Rawls comes from the LeRoy Collins Main Library in Tallahassee, where she served as a Youth Services Information Professional for two years. She completed her Bachelor of Arts degree in interdisciplinary humanities and earned her Master of Library & Information Science, both from FSU. Her research interest includes information literacy, open access resources and increasing diversity and inclusion in academic libraries and research. Before coming to FSU Libraries, Rodriguez spent nearly a decade working in film and audiovisual media preservation and exhibition. 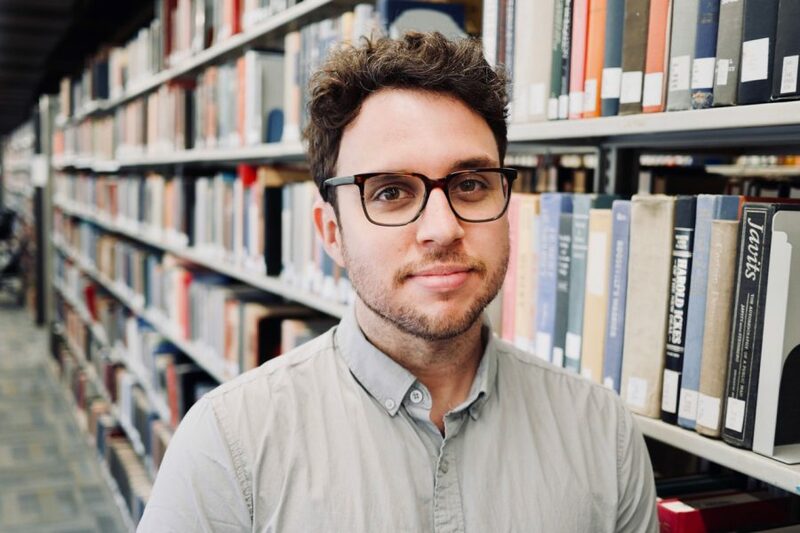 After graduating from New College of Florida (‘09), he earned an MA in film and media studies from the University of Florida (‘11), where he first began working with media collections. Rodriguez went on to attend The L. Jeffrey Selznick School of Film Preservation at George Eastman Museum, where he later served as an instructor and chief projectionist of the Motion Picture Department. He managed the archive at The Center for Moving Image Arts at Bard College before returning to his hometown of Miami in 2015. There, Rodriguez worked as an archival film projectionist in arthouse cinemas, as a technician at Continental Film & Digital Laboratory and in Special Collections at University of Miami Libraries. 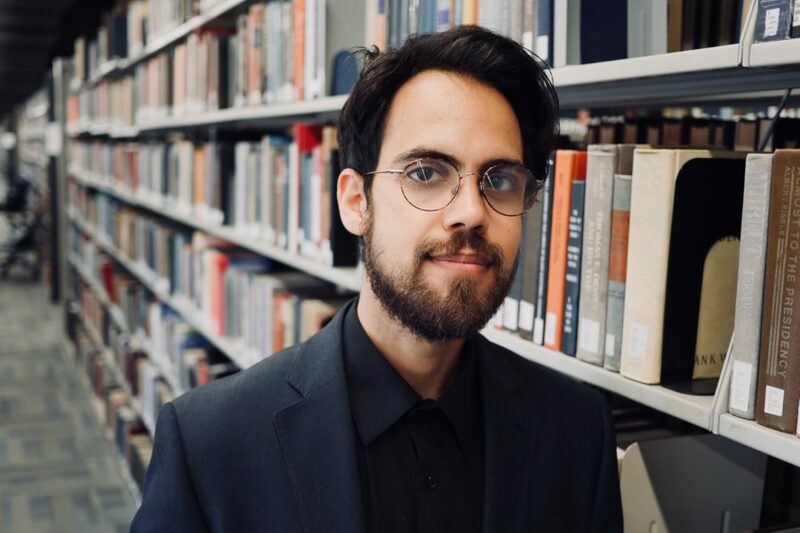 His research interests include digital stewardship, media archaeology, media art preservation and developing open educational resources and outreach in these areas. To learn more about the Diversity Resident Librarian Program, contact Bridgett Birmingham at bbirmingham@fsu.edu. On November 2, 2001, the General Conference of the United Nations Educational, Scientific and Cultural Organization (UNESCO) adopted the Universal Declaration on Cultural Diversity in Paris, France. This Declaration defines “Cultural Diversity” or “Multiculturalism” as the harmonious co-existence and interaction of different cultures, where “culture should be regarded as the set of distinctive spiritual, material, intellectual and emotional features of society or a social group, and that it encompasses, in addition to art and literature; lifestyles, ways of living together, value systems, traditions and beliefs”. This Declaration lead to the United Nations first ever celebration of the United Nations Year for Cultural Heritage. In December 2002, the 57th Session of the United Nations General Assembly adopted Resolution 57/249 that declared May 21 each year as the World Day for Cultural Diversity for Dialogue and Development. This day is intended to give an opportunity to help communities understand the value of cultural diversity and learn how to live together. It’s an occasion to promote world culture and highlight the significance of diversity as an agent of inclusion and positive change. It celebrates not only the richness of the world’s cultures, but the essential role of intercultural dialogue for achieving peace and sustainable development. This is important to libraries for many reasons. Libraries serve diverse interests and communities. We function as learning, cultural, and information centers driven by our commitment to the principles of fundamental freedoms and equity of access to information and knowledge for all. This point was also buttressed in UNESCO’s first ever Cultural Diversity Publication Series, launched at the World Summit on Sustainable Development in Johannesburg in 2002, in which UNESCO states that libraries and cultural centers, as part of their new missions, must “strive to promote the actors and expressions of cultural diversity in such a way as to ensure that as many people as possible are exposed – and enjoy access – to the wealth of that diversity”. Employ staff to reflect the diversity of the community, who are trained to work with and serve diverse communities. This Manifesto supports ALA’s interpretations of “Diversity Standards: Cultural Competency for Academic Libraries” (2012), which advocates to “support diversity skills training and diversity education—including the exploration of social justice, privilege and oppression, and fear and anger around cultural diversity issues—in a safe environment that allows for discussion and reflection”. Libraries are in the unique position to celebrate culture’s manifold forms, from the tangible and intangible, to the diversity of cultural expressions, and reflect on how these contribute to dialogue, mutual understanding, and the social, environmental and economic vectors of sustainable development. The core activities of library and information services for culturally and linguistically diverse communities are central, not “separate” or “additional”, and should always be designed to meet local or specific needs. Combat polarization and stereotypes to improve understanding and cooperation among people from different cultures. Do one thing today to support cultural diversity. Read a book by an author from a different culture, reach out to a diverse staff and let them know how much you appreciate their presence at work, be creative, and as always, feel free to reach out to the FSU Libraries Diversity and Inclusion Committee with your ideas. UNESCO Cultural Diversity Series No. 1. Universal Declaration on Cultural Diversity: A Vision, A Conceptual Platform, A Pool of Ideas for Implementation, A New Paradigm. A Document for the World Summit on Sustainable Development, Johannesburg, 26 August – 4 September, 2002. http://unesdoc.unesco.org/images/0012/001271/127162e.pdf.